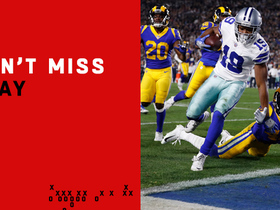 Bill Callahan's play calling should maximize Tony Romo and Co. Published: June 14, 2013 at 01:52 p.m. Updated: June 14, 2013 at 04:10 p.m. 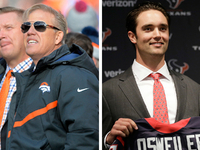 Does the play caller really matter? In the NFL, there's no doubt about it: The play caller is invaluable, particularly on offense. He orchestrates the flow of the game and designates which players are the key figures in the game plan. Most importantly, he works with the quarterback to make sure the system plays to his individual strengths, while also providing enough big-play opportunities to capitalize on the opponent's weaknesses. Over the past six seasons with the Dallas Cowboys, those duties rested on the shoulders of Jason Garrett. 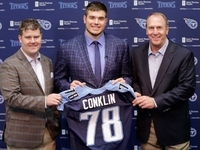 Although he produced four top-10 rankings in total offense during that span, the toll of juggling play calling with head-coaching tasks proved too much for Garrett to handle in recent seasons. From poor clock management to inconsistent in-game adjustments, it was obvious the Cowboys' head coach struggled with the responsibility of wearing multiple hats on game day. 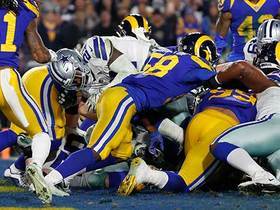 Consequently, Dallas' offense sputtered in key moments when an explosive effort was needed to secure a win. 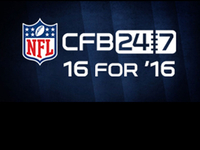 That should change, with Bill Callahan assuming play-calling duties in 2013. Callahan has a reputation for putting together potent offenses from his days as a head coach/offensive coordinator in Oakland (the Raiders led the league in rushing in 2000 and finished first in passing yards in 2002) and as the associate head coach of the New York Jets (who led the NFL in rushing 2009). 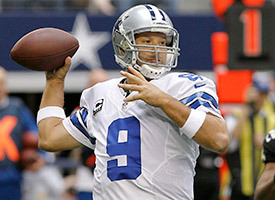 1) Building the offense around Tony Romo's talents. Many Cowboys fans have a love/hate relationship with Romo, but team officials know their championship aspirations hinge on the performance of the three-time Pro Bowler. When Romo is on his game, the Cowboys' offense is one of the most explosive units in the NFL, a high-octane outfit that few defenses are capable of containing. This has been the case throughout his tenure as the Cowboys' starter, particularly over the past three seasons with Garrett in charge. Since 2006, the Cowboys are 23-5 when Romo completes over 70 percent of his passes and 34-8 when he finishes with a passer rating of at least 100. Those numbers speak to the direct correlation between Romo's play from the pocket and the outcome of games. 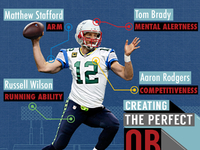 Callahan will tailor the playbook to accentuate his quarterback's strengths as an athletic, quick-rhythm pocket passer. This should result in more five-step-drop passing plays from one- and two-back sets, with a variety of intermediate routes by the receivers. Additionally, we can expect more quick-rhythm throws from the shotgun, where Romo can field the snap, reset his feet and deliver accurate strikes to receivers running short and intermediate patterns. This will allow Romo to get into a good rhythm -- connecting on lay-ups from the pocket -- and help protect him from rabid pass rushers. Finally, I would expect Callahan to mix in some movement-based passes, to alter the launch point of the aerial attack and take advantage of his quarterback's athleticism. This could be an important aspect of the Cowboys' offense, because it would prevent defensive coordinators from attacking extensively with A-gap blitzes (pressures in the center/guard gaps) designed to disrupt Romo's rhythm in the pocket. Remember, Callahan was the head coach and play caller in Oakland when Rich Gannon emerged as the league MVP (2002), so the guy certainly understands how to set his quarterbacks up for success. If he crafts a plan that diversifies Dallas' passing game while keeping Romo's attempts in the 30-to-35 range, Callahan could spark the Cowboys to their first playoff berth since 2009 -- and help his quarterback make a run at the NFL's highest individual honor. 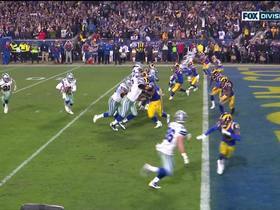 2) Getting the ball to Dez Bryant and Miles Austin on the move. The Cowboys' dynamic receiving corps is unquestionably the strength of their offensive personnel. 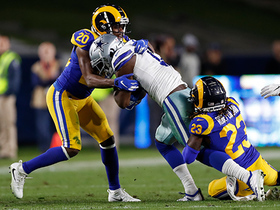 Bryant, Austin and tight end Jason Witten comprise one of the most explosive groups in the NFL, and few teams have enough defenders to match up in space. This should encourage Callahan to give the ball to his primary playmakers early and often in the open field on a variety of short and intermediate routes designed to exploit the vulnerable areas of coverage. More specifically, the Cowboys should make a concerted effort to get the ball to Bryant and Austin on the move. Both players are exceptional runners in the open field; Dallas must take advantage of their ability to turn short passes into big gains on crossing routes. Dez Bryant: Bryant flashed tremendous potential as a No. 1 receiver in his first couple of NFL seasons, but he truly emerged as a dominant playmaker in 2012. This should prompt Callahan to make him the focal point of the passing game. Bryant posted his first 1,000-yard season -- snagging 92 balls for 1,382 yards and 12 touchdowns -- while displaying a well-rounded game. From running short/intermediate routes to thriving as a vertical threat, Bryant is a game changer on the perimeter with the potential to score from anywhere on the field. This season, I expect Bryant to run more slants, quick screens and crossing routes -- patterns that will get him the ball quickly in space. In the above video, Bryant snatches a quick slant against the New Orleans Saints and rumbles 58 yards for a score. With Bryant capable of delivering big production on low-risk routes like this one, the Cowboys can remain efficient without putting the ball in harm's way. Miles Austin: The injury bug has prevented Austin from displaying the explosive receiving skills that produced back-to-back 1,000-yard seasons in 2009 and '10. When healthy, Austin is a dynamic playmaker with outstanding running skills in space. The Cowboys would benefit from frequently getting him the ball on crossing routes over the middle. Austin is fearless between the hashes, and his combination of size, strength and speed makes him difficult to bring down in the open field. In the video to the right, Austin showcases those traits by turning a dig route into a 27-yard catch-and-run score. On the play, Austin deserves credit for making the tough grab between defenders and splitting the seam to waltz into the end zone. Most receivers shy away from the middle of the field, but Austin's courage and running skills allow him to thrive in traffic. 3) Showing a stronger commitment to DeMarco Murray and the run game. For all of the emphasis placed on the passing game in the NFL, the league's most dangerous offenses are balanced. The Cowboys certainly possess the talent and personnel to adopt a 55:45 pass-run ratio, which would keep opponents from loading up against their potent passing game. But Garrett has never shown a strong commitment to running the ball consistently in his tenure as head coach. The team routinely abandoned the ground game in recent years, putting the onus on Romo to carry the load himself. That philosophical approach should change, with Callahan taking over as the primary play caller. A proponent of a zone-based running game, he will persistently hand the ball to his feature back to keep the defense honest. By grinding the ball a little more, the Cowboys can control the tempo of the game while also setting up big opportunities off of play action. In Murray, Callahan has a talented runner capable of giving the offense a jolt as a feature back. The third-year pro has shown flashes of brilliance as a workhorse runner, but he's also been limited by an assortment of injuries in his young career. He is big, fast and physical with the ball in his hands, yet he also displays the vision, balance and body control to make explosive cuts in the hole. In a zone-based running scheme, those traits would allow Murray to shine when given enough carries to get into a rhythm. The video clip to the right showcases Murray's talents as a zone runner. He takes the ball heading to the left, bounces off a tackle in the hole and slips around the left end for a 28-yard gain. Given the Cowboys' 8-0 record when Murray receives 20 or more carries, Callahan would be wise to give his talented runner plenty of chances to break off explosive gains on an assortment of inside and outside zone plays.